The media is full of stories about people reaching the age of 100 and achieving longer life expectancies. However, while more people are living longer, disease diagnoses are rising among younger generations. That’s certainly the case with colorectal cancer. A study conducted by the University of Arizona at Tucson found that currently, 30 percent of colon cancer cases are diagnosed in people under 50 and other research has revealed that there’s been a two-fold increase in diagnoses among the 20 to 49 age group. While the advice for many years has been to start screenings at 50, this research has called that into question, leading the American Cancer Society to recommend that first-time colon cancer screenings at age 45*. What is causing the rise of colorectal cancer in young people? Sadly, the theories the experts have are all too familiar. It seems that lifestyle is primarily to blame: a lack of exercise and an abundance of processed, unhealthy foods along with their inevitable outcome—obesity. This unhealthy lifestyle damages the microbiome (the trillions of bacteria living in the human gut). The microbiome is responsible for gut health and has a big influence on the immune system too. Unfortunately, research also shows that people under age 55 are 58 percent more likely to be diagnosed with late-stage colon cancer—why all the late diagnoses? The reasons for these delayed diagnoses make grim reading. The most common seems to be misdiagnosis, with many younger patients complaining of lower abdominal symptoms only to be haphazardly diagnosed with a stomach bug or irritable bowel syndrome (IBS). The University of Arizona study also found that in contrast to the over 55 population, where most diagnoses are made in men, 62 percent of cases in younger people occur in women—and that most colorectal cancer sufferers under 50 were white, obese, and drank alcohol. Yet when younger patients presented with symptoms, physicians are still more likely to treat for IBS or another GI-related disease, purely because they are still not expecting to see colon cancer in people under 50. The media is full of stories of tragic misdiagnoses, including the story of a 22-year-old whose mother begged doctors to run additional tests when he daughter’s symptoms persisted. A flexible sigmoidoscopy revealed colon cancer—something the doctor performing it admitted he would never have guessed for a patient so young. A review published in World Journal of Gastrointestinal Oncology examined the pitfalls in the diagnostic procedure for colorectal cancer (CRC) in symptomatic patients and the time that can elapse from first symptoms to diagnosis as referrals are made and patients await tests. A colonoscopy is often not the first test general practitioners order when young patients present with symptoms, even though it is regarded as the ‘gold standard’ of colon cancer detection and prevention. Fortunately, colorectal cancer can be prevented—and generally cured, if detected early. 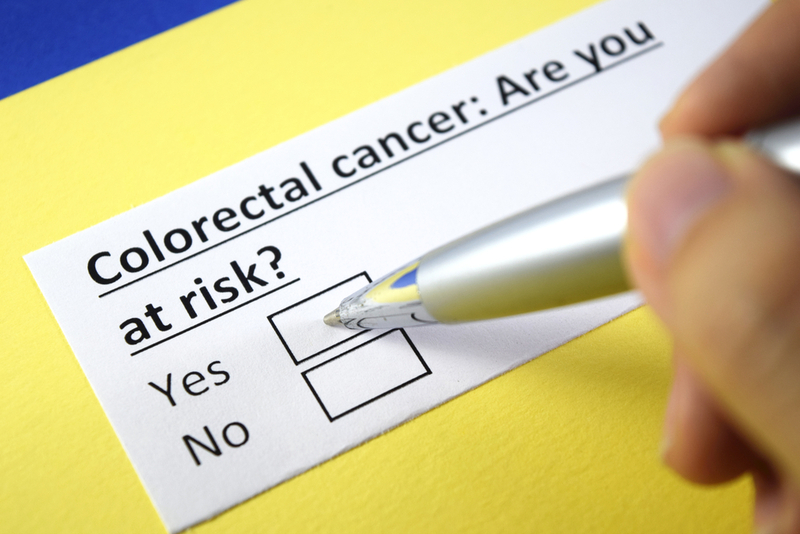 The new, lower screening age recommendation should improve colon cancer prevention. However, don’t wait until age 45 if you have symptoms. Whatever your age, symptoms are an urgent sign you need to see a doctor straight and get testing to confirm or rule out colon cancer. Delaying diagnosis and treatment reduces your chances of overcoming colorectal cancer, so book an appointment today. If you’re at risk, early detection means early treatment and prevention, which means a colonoscopy could save your life. The expert gastroenterologists at Tulsa Endoscopy Center exceed industry benchmarks for quality and safety, and the medical team is specially trained in endoscopic care. Tulsa Endoscopy Center offers the highest quality care to maximize healthy outcomes.